Mad Hatter's Pantry: The New BOL Range! 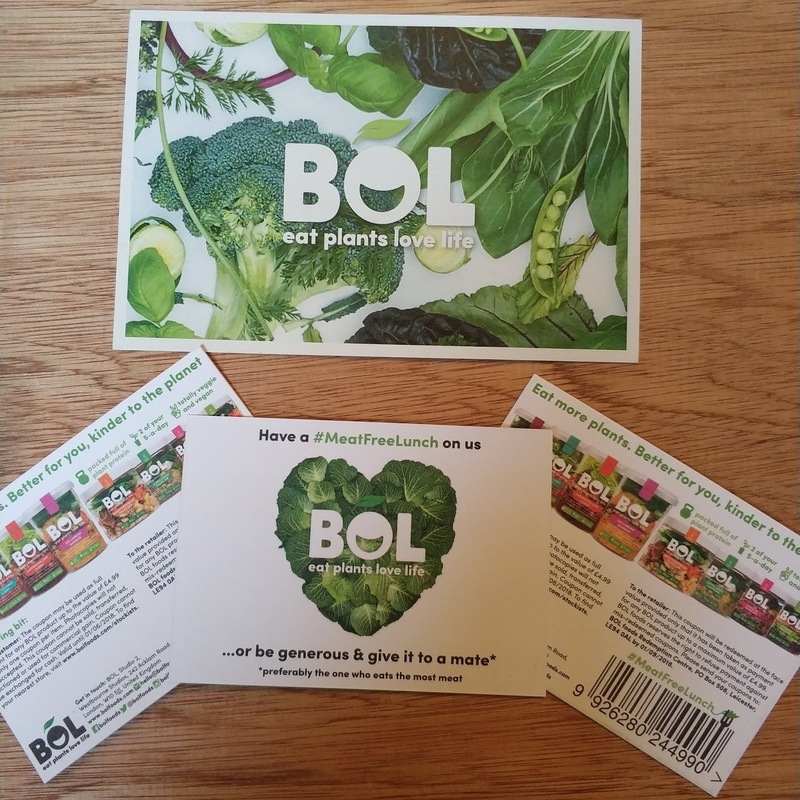 BOL Foods has announced that it will be removing dairy from all of its products this June (following its drop of meat and fish in 2017), becoming 100% plant-based and the first FMCG brand in the UK to do so. 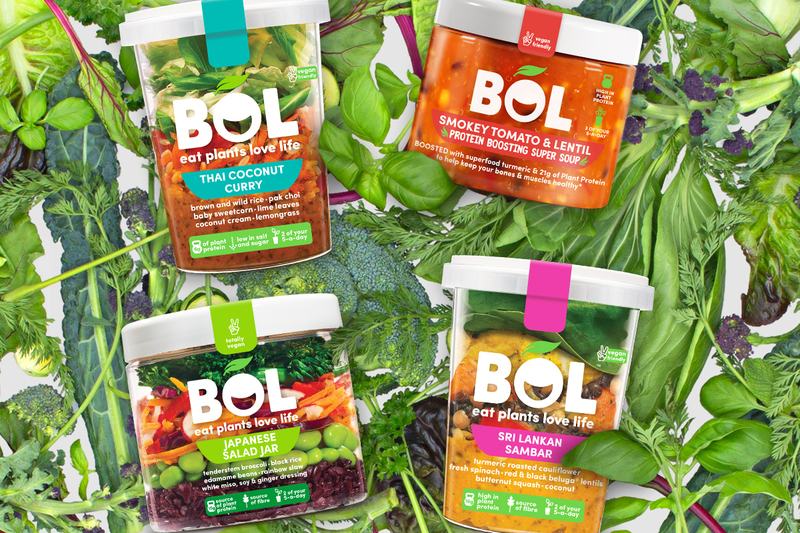 Dropping all dairy means that six of BOL’s current recipes will be reinvented to be entirely plant-based. 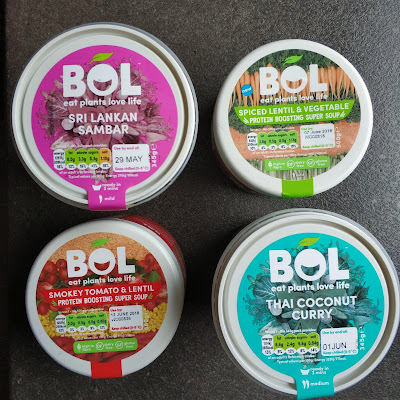 The new globally-inspired recipes will be as colourful, nutritious and delicious as ever, developed in collaboration with a series of chefs and award-winning nutritionist Ian Marber to guarantee both health and flavour. We tried the soups first - both sounded tasty. Our take on a classic: this hearty vegan-friendly soup is a warming mix of protein-rich red lentils, carrots & kale, gently blended with a spice mix of cardamom, sumac & curry leaves, all using our secret plant-powered BOL stock. 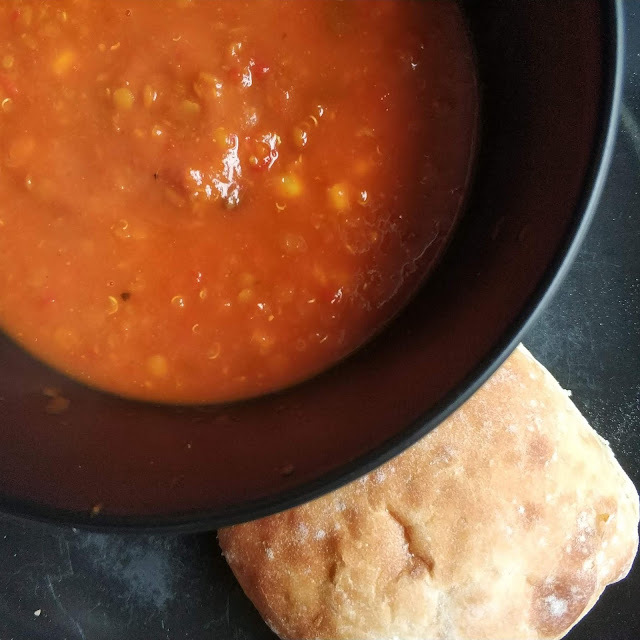 Our take on this classic soup is bursting with sun drenched tomatoes but also features lentils, sweetcorn and turmeric. It packs 21g of plant protein to help keep you powering on through the most demanding of days. The soups were both good, and the amount of protein packed into them is fab. I would consider buying these again for a quick / post workout dinner. 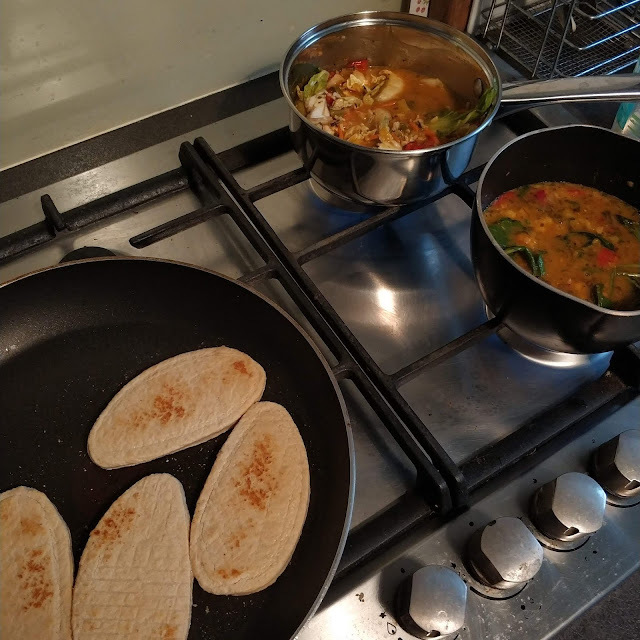 Although they were tasty, we did feel like the flavour could have been a little deeper - but perhaps I'll just add a little salt or pepper next time to boost the flavour! 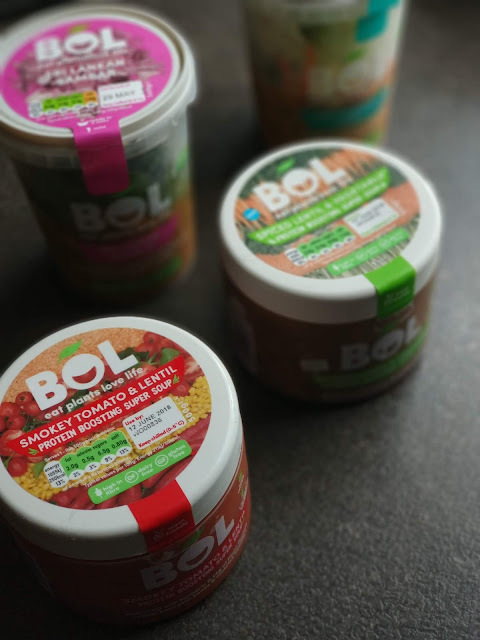 Next up were the veg pots - I like that they have some fresh veg on top. We added some chopped up Quorn fillets to boost the protein. 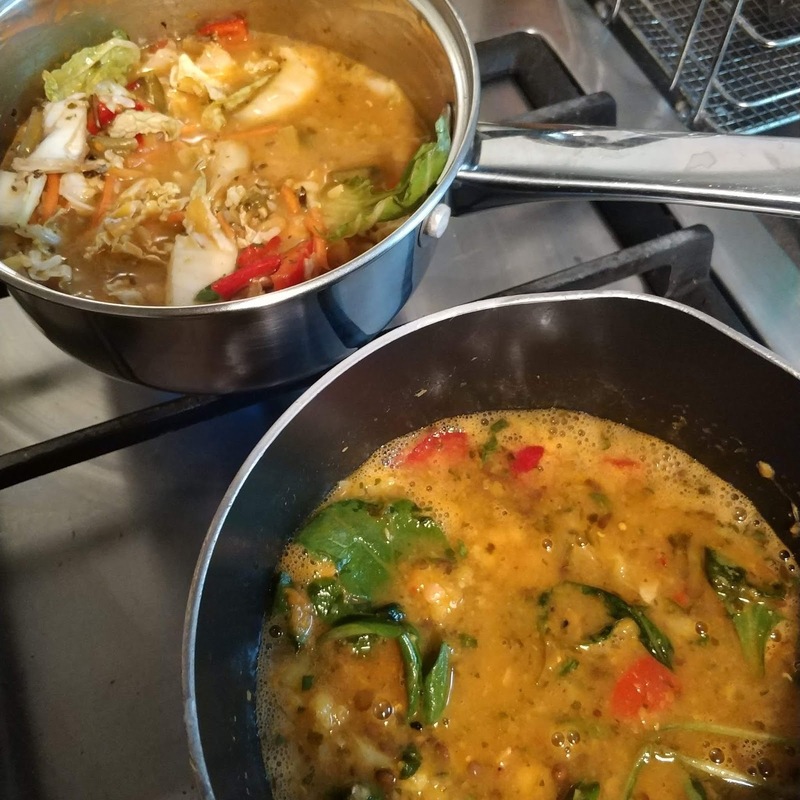 The Sambar actually had a great amount of protein on its own but we wanted to add a bit to the Curry. Deliciously balanced, our Thai Coconut is a tasty plant-powered curry with the potential to soothe your soul. Our version of this classic combines crunchy baby corn, crisp water chestnuts and fresh pak choi with fibre-rich wild and brown rice. Stir the veg into our aromatic coconut sauce to experience the fragrant flavours of South-East Asia. Our wholesome Sambar pays homage to its Sri Lankan and South-Indian origins. We’ve teamed florets of chargrilled cauliflower, carrot, crunchy red pepper and butternut squash with a subtly-spiced turmeric and ginger coconut cream. 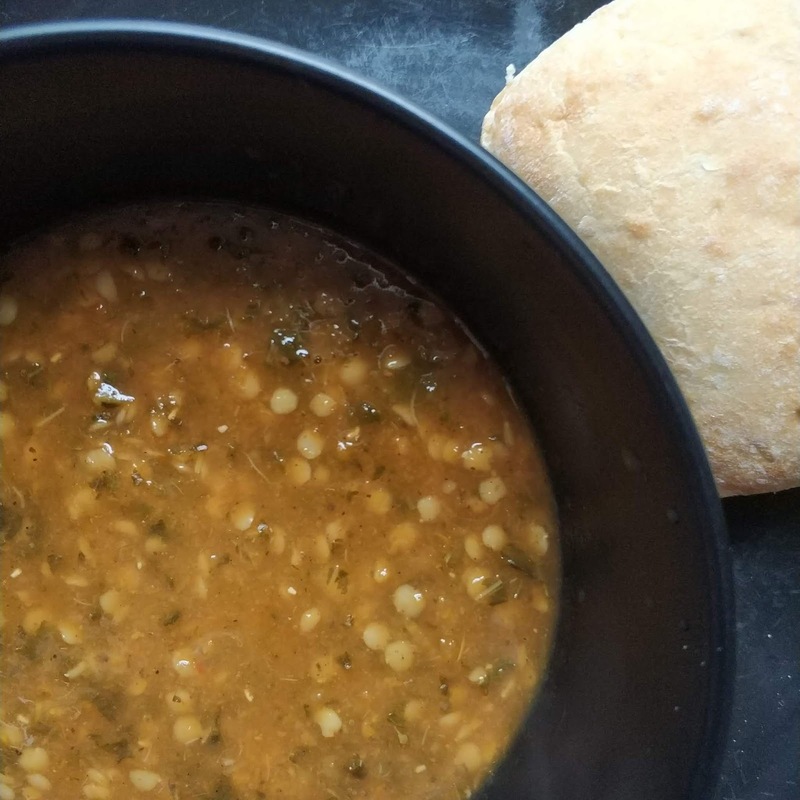 This dhal-inspired stew is brimming with Beluga lentils for an earthy boost of plant protein and topped with a layer of fresh spinach, naturally high in vitamin A. These were fantastic! I was expecting them to be nice, like the soups, but we were both pretty blown away by how good they were. The flavour profiles on both of them were spot on, and they were filling enough to have for an evening meal. We will definitely be looking out for these again! The fresh veg was a definite bonus too - all too often when you have ready meals, it feel like it's lacking that freshness. I was hoping to try one of the salad pots but unfortunately couldn't find one anywhere we went. I will be keeping my eyes peeled from now on though!